The future of Burke scholarship is in the hands of young scholars who build on an early interest in Burke and develop research agendas that use Burke’s teachings for critique and that contribute to our unending conversation about Burke and his ideas. To encourage and promote these scholars, we have requested profiles of scholarship from recent graduates of doctoral institutions who focused their dissertations on Burke, and we present more than a dozen of them below in alphabetical order. They come from a variety of fields: art, communication, composition, environmental planning, and literature. We hope that the Burke community will get to know these scholars and their work, seeking them out when putting together edited books, seeking them out when putting together panels for conferences, and seeking them out as co-authors. We have included their contact information to facilitate such scholarly relationships. We encourage them to submit their future work to KB Journal, so that our audience of Burke scholars from various disciplines can become interlocutors learning from and contributing to this scholarly conversation. This work argues that by focusing on the early Cold War period in writing instruction we can more fully understand how remnants of the Cold War shape our own epistemological assumptions. In the field of composition and rhetoric, it is generally assumed that teachers in the fifties operated under the “current-traditional paradigm,” that they were pressured to focus on rhetorical and grammatical principles without considering their cultural context. A closer investigation of this assumption proves that while this argument has some merit current traditional rhetoric played a different role in the academy during the fifties than it does today. A thorough description and analysis of one of the first academic freedom cases in the early Cold War (i.e., the University of Washington case) helps outline these differences, which are further clarified by looking more closely at textbooks by James McCrimmon, and Cleanth Brooks and Robert Penn Warren; the teaching practices of Theodore Baird and Charlton Laird; the rhetorical philosophy of Richard Weaver; and the published responses to anticommunism by the NCTE. Through the clarification of these differences we are then able to understand, in a more contextualized manner, the unique contributions found in the teaching philosophies of Herbert Weisinger, Albert Kitzhaber, and other scholars at the first meetings of the Conference on College Composition and Communication. Finally, this contextualization helps us more thoroughly understand the unique contribution of Kenneth Burke’s rhetorical theory. Most rhetoricians in the fifties were forced to either champion the national agenda or work around it in circuitous ways. Brooks and Warren presented a rhetoric that worked with our nationalist agenda. Weaver responded by redefining the terms of conservative versus liberal rhetoric. Burke, more than any other, was able to “transcend” the binaries that the Cold War tried to force on the field. He gave a rhetorically savvy speech to the American Writers Congress in 1935, maintained a Popular Front orientation, and engaged in a more sophisticated form of Propaganda Analysis than did the IPA, but most importantly, his work proved to be very influential for the scholars who helped set the groundwork for the field of rhetoric and composition. In this regard, Burke helps us synthesize the history, pedagogy, and rhetoric of the Cold War period and gives us a way of contextualizing the teaching of writing by paying particular attention to points of disagreement within language and institutional systems. In environmental planning, the communicative turn has most frequently been represented as requiring more inclusive, honest, and representative communication. Burke’s point that language users may be used by language is relatively new to planning. Particular communicative situations may echo or be structured in relation to larger discursive forms. In my dissertation, I argue for the relevance of communicative forms to planning communication by illustrating the connection between particular, situated environmental planning conflicts and durable communicative forms in environmental literature. In “Environmental Identities” I characterize three social identities that animate environmental planning and citizenship in the discourses of toxicity, stewardship, and environmental analysis. Individuals are constrained in communication and identity by the communicative forms that are available. Forms are durable, but innovation may occur. I consider the influence of three texts on environmental discourse and the constitution of environmental citizenship: Rachel Carson’s Silent Spring, Aldo Leopold’s A Sand County Almanac, and Ian McHarg’s Design With Nature. Burke proposed that forms have consequences for action. Forms help to create expectations and attitudes towards the natural world, identities for our selves and motivations for our actions. Using Burke’s dramatism and textual analyses, I show the sources and consequences of the forms of these three texts for the identities and actions of those involved in environmental planning. The social identities expressed through these texts help to constitute important identities of environmental citizenship, including popular movements and professional associations. The way the three texts are applied in discourse shows how the forms embodied in the texts are translated to action. Narrowly, my dissertation argues that environmental literature influences the particular communicative and local situations of environmental planning. More broadly, my research shows the importance of form in generalizing between communicative situations. My ‘social identity’ approach integrates the internal form of the Grammar with the identification and alienation of the Rhetoric to propose durable communicative forms as equipment for political living. The contribution of the Rhetoric is of an ‘identity’ as a social distinction that may attract more or fewer adherents. The contribution of the Grammar is as a method of characterizing ‘social identities’ as forms that translate between literature and life. The ‘social identity’ that I propose is a characteristic form that functions as an identity for adherents, that can be dramatistically described, and can be traced in use in both literature and life. I continue to apply Burkean theories in the realms of environmental planning, thought and education. Currently, my focus is on climate change. Climate change discourse on the whole has been found to be relatively disabling for action, particularly at the local level. Accordingly, I am investigating the discursive forms that allow or enable local governments and citizens to take action to reduce greenhouse gases and increase sustainability. In my current research, I am describing the local social identities that have helped to motivate or enable action. The advent of computer technology in writing centers has forced administrators, tutors, and clients to reconsider what they do and how they do it. The construction of a new metaphor for online interactions suggests better ways to interact online. To this end, my dissertation develops the idea of the Fluid Cyborg, a combination of the theories of Kenneth Burke and Donna Haraway, as a means to explain and anticipate online tutoring behavior. Burke’s theories providing the critical lens and Haraway’s offer means of reconsidering Burke’s concepts for a virtual age. My intent is to offer suggestions for reconsidering applications of Burke into an area he often rejected: technology. This dissertation is a full-length study of Kenneth Burke’s “Perspective by Incongruity” (PbyI), a concept introduced in his book Permanence and Change (1935). Burke attributes its genesis to his analysis of Nietzsche’s styles; therefore, the content of this study necessarily involves an examination of Burke’s Nietzschean intertext. As Debra Hawhee once asserted, Nietzsche is the single most significant influence on Kenneth Burke (especially the younger Burke). Why then, she asked in 1999, is Nietzsche slighted in the discourse universe some call Burke studies? The terms of Burke’s Pentad thematize four chapters, with the second chapter combining purpose and scene into a ratio. Chapter two is the foundational chapter, and maps the context that formed Burke’s interest in and exposition of PbyI. This chapter urges a reorientation of Burke as primarily a Nietzschean confronting Marx, while distinguishing his approach from Freud. To illustrate how reading Burke as a psychoanalytic (or Freudian) critic can be misleading, Fredric Jameson’s 1977 critique of Burke is examined. Chapter three scopes into a close reading of Burke’s introduction of sparagmos. The theme is agency; sparagmos is the instrumental aspect of PbyI. This chapter attends to Burke’s juxtaposition of images, often clustered incongruously, in his text on Nietzsche and sparagmos. Sparagmos is aesthetic, rather than anaesthetic, because it refers to felt language. Chapter four belongs grammatically to the term act. Burke freely enacts instances of PbyI in his only novel, Towards a Better Life. This chapter examines Burke’s rhetorical modes (his Six Pivotals), according to which he constructed this text. The key mode is invective; but, invective, being impious, is related to PbyI. Published in 1931, Burke felt this novel would determine his success or failure in the arts. When the book fizzled, he turned to literary criticism and philosophy. The novel’s theme and some of its formal attributes share a great deal with those of French modernists like Valéry and Huysmans. The primary motive of this chapter is to relate the key rhetorical mode to the theme of the work. Chapter Five takes up the only remaining term: agent. This chapter surveys Burke’s position on subjectivity through various sources, but focuses on two of his better-known critical efforts on Keats and Coleridge. Burke’s agent term and its subcategory, the subject, are examined through his approach to the author/subject. His perspective on human subjectivity is decidedly Nietzschean, due to his focus on physiology’s decisive involvement in symbolic production. 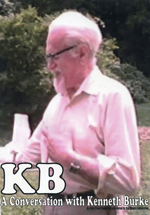 Conventionally, KB is assumed to be a Freudo-Marxist literary critic. Reading Nietzsche back into Burke’s texts reinvigorates them by forcing a re-evaluation of his theory of language, and his relationship to psychoanalysis and Marxism. Nietzsche’s influence explains many of his seemingly idiosyncratic comments in essays, especially those of literary criticism. Burke remained fixed on the role of the human physiology and its relation to symbol-using. This dissertation is the basis of a forthcoming book entitled Race and Reconciliation: Redressing Wounds of Injustice (Lexington, 2008). Both begin with the persistent racial divide and Mark McPhail’s diagnosis of racism as grounded in a language of negative difference. I argue that his proposed remedy—rhetoric reformulated in terms of dialogic coherence—amounts to a comic reframing and shares the limitations of Burke’s comic correctives. Racial reconciliation offers a more robust alternative, rhetorically bridging the tragic legacy of racism and comic visions of multicultural harmony through remembrance, apology, forgiveness, and reparation. I rework Burkean frames and logology to develop a theory of reconciliation and apply it to recent racial reconciliation discourse. The dissertation examines a 1999 reconciliation conference in West Africa; the book also explores recent legislative apologies for the enslavement of African Americans. A survey of multidisciplinary literature suggests that satisfactory reconciliation is tragicomic, combining a clear sense of justice, guilt, and sacrifice with awareness that victimizers and victims inter-depend for redemption, healing, and a “good life.” Reconciliation also discloses a tensional interdependence between agency and truth (which work rhetorically as romantic and realistic frames on reconciliation). Former perpetrators tend to approach reconciliation romantically and comically, victims realistically and tragically. Thus, reconciliation entails reframing through repentance and forgiveness, weaving disparate narratives into a rounded (if incomplete) narrative of injury and restoration. It often draws upon religious narratives and rites to facilitate this hermeneutic work, since they prefigure resolutions to deep moral contradictions. I incorporate logology, tempered by Paul Ricoeur’s hermeneutic philosophy, to understand reconciliation’s sacred/secular coming-to-terms. Arguing that Burke erred in making Order (rather than Covenant) the basis for the cycle of terms he derived from the Christian metanarrative, I distill a tetrad of constitutive value terms—Justice, Peace, Truth, and Agency—from reconciliation discourse. The tetrad is dia-logological: the terms act upon one another and give rise to hybrid terms (e.g., Restorative Justice). Satisfactory reconciliation embodies/facilitates their emergent conversation, though differently for perpetrators and victims. Perpetrators’ reconciliation discourse should display tragic judgment on very real wrongs done to victims, with commitment to repair the damage; in turn, this may facilitate victims’ work of romantic and comic reframing (forgiveness). While recent state slavery apologies disavow being a basis for reparation lawsuits, they do demonstrate a significant shift toward thorough, regretful acknowledgment in a tragic frame. As such, they contribute to the possibility of legislative reparations and racial reconciliation. See also John B. Hatch, “Reconciliation: Building a Bridge from Complicity to Coherence in the Rhetoric of Race Relations,” Rhetoric & Public Affairs 6 (2003): 737-64 (with forum responses by Erik Doxtader, Kirt H. Wilson, and Mark Lawrence McPhail in issue 7:3), John B. Hatch, “The Hope of Reconciliation: Continuing the Conversation,” Rhetoric & Public Affairs 9 (2006): 259-77, and John B. Hatch, “Beyond Apologia: Racial Reconciliation and Apologies for Slavery,” Western Journal of Communication 70 (2006): 186-211. “The Discourse of Canadian Multiculturalism” examines multiculturalism discourse in Canada through consideration of three influential manifestations of that discourse: the popular press’s treatment of multiculturalism, the federal government’s publications on multiculturalism, and the literary community’s response to the phenomenon in terms of self-identified anthologies of multicultural literature. The dissertation uses three different theories for analysis—dramatism, discourse analysis, and social semiotics—citing their shared emphasis on the social role of language and their perspective on language as a system of options from which language users make choices and produce effects, often unintentionally. Kenneth Burke’s dramatism, especially the concepts of pentad and substance are used to analyze the Canadian press’s discourse of multiculturalism. Analysis reveals that the press—despite its apparently negative attitude toward topic—actually supports the principles underlying multiculturalism through the ways in which it habitually represents the issue. Specifically, the dissertation argues that, like the discourse of Canada as a whole, the press’s discourse of multiculturalism foregrounds scene, a conservative and stabilizing force for multiculturalism which, as a concept, tends toward fragmentation. In addition, nutritive substance, a minor Burkean term, proves useful in describing and analyzing the way in which this discourse establishes a safe ground, between the detached, acultural possibility of geometric substance and the volatile tribal dangers inherent in the evocation of familial substance. In nutritive substance the external becomes internalized, as the formerly geometric identity of “Canada” becomes part of the hybridized multicultural Canadian’s new identity. This dissertation applies discourse analysis to government publications on multiculturalism and social semiotics to multicultural literary anthologies, positing connections between these associated theories and discourses. The Discourse of Canadian Multiculturalism contributes to the field of Burke studies primarily through the dialogue it opens up between Burkean ideas and the more closely allied fields of social semiotics and discourse analysis. Through the extended application of these theoretical approaches from different intellectual traditions, the dissertation suggests new connections—parlor talk in Burkean terms. Also, the relatively undeveloped concept of nutritive substance receives a novel application which may be useful to other researchers. Using a broad range of methods of inquiry, including dramatism, I (along with my research partner, Dr. Will Garrett-Petts) am currently engaged in a long term investigation into artistic research, especially the artists’ statement. This ethnography utilized a conceptual framework of narrative to examine how children with autism and occupational therapists connect to and organize their actions with each other in a sensory integration-based clinic. Data collected over an eleven-month period included narrative interviews with primary caregivers, participant observations, field notes, and videotaping of the dyadic interaction between five preschool-aged children with autism and related disorders, and three occupational therapists. Data analysis and interpretation, including microanalysis of gestures and expressions, underlined how enacted narratives emerge out of actions that create significant and aesthetic moments. Findings highlighted the agency and narrative practices of intersubjectivity that children embodied to organize their actions and connect to therapists. Drawing from Burke’s Grammar, the study argues that scenic practices include the symbolic acts that (re)create particular sociocultural scenes. The proclivity of such practices challenge DSM-IV diagnostic criteria that children with autism have deficits in narrative competence, imaginary play, or intersubjectivity. Such results underline the utility of narrative as (1) a conceptual framework that embraces embodiment and issues of power in sociocultural structures, and as (2) an intervention for occupational therapy practice focused on sociality and the organization of action across spatiotemporal horizons. The philosophy of occupational therapy foregrounds individual agency, action and purpose: As Reilly argues: “…[M]an through the use of his hands can creatively deploy his thinking, feeling and purposes to make himself at home in the world and to make the world his home.” Thus, a key tenet of Burke’s Dramatism—humans act while objects are in “mere motion”—is highly relevant to this healthcare practice that utilizes activities as a medium of change. A focus on how to motivate individuals to action when they face the contingencies of illness experiences or a disability status is both pragmatically necessary and rhetorically useful for distinguishing the work of this rehabilitation profession from the “biomedical model,” which treats bodies through drugs and surgery. Beyond such rhetorical similarities, Burke’s Dramatism was also relevant to data interpretation and analysis—both verbal and participant observations. For example, the “dramatistic screen” provided a way to understand the limits of the various terministic screens that guided the actions of the occupational therapists. Further, the structure of clinical interaction is not only shaped by circulating metaphors, such as a journey, but also dramatic as providers and clients seek to create significant experiences. Forthcoming articles and book chapters for anthropology, occupational science, and occupational therapy audiences will apply the following inter-related Burkian concepts: (1) symbol use, (2) the scene-act ratio, (3) the entanglement of aesthetics and ethics, and (4) attitudes as incipient acts, in order to deepen understanding of how narrative practices shape transformation and healing. Further, Burke’s analogies between dramatic structures and embodied experiences (i.e. appetite, walking, breathing) have threaded through the development of a conceptual model on “embodied metaphors,” that in the spirit of dramatism, aims for a yes-and comedic approach to the stances and terms that guide treatment evaluation and efficacy. My argument in this dissertation is that artworks made in New York between 1958 and 1965, the heyday of color-field painting, minimalism and pop art, comprise different responses to the perceived crisis embroiling advanced art at the time—namely, the threat of misinterpretation posed by a rapidly expanding consumer audience. It is possible to see the general concern over art's relation to its audience in terms of a crisis of metaphor; pivotal innovations during this period, especially in painting, mark a move beyond metaphor in search of alternative modes of address. These different modes can be characterized using the categories provided by rhetorical analysis, in particular the schema of the four master tropes as expounded by Kenneth Burke. For example, color-field painting can be thought of as synecdochic, minimalism as metonymic, and pop as ironic. All three offer strategies to ward off misappropriation: the first by disallowing any interpretive leeway, by shoring up all space between viewer and painting so that the encounter seems to happen within "eyesight alone," in the intimate proximity and instant of looking; the second involves giving the artworks over to viewing while also steeling them against it, so that only obdurate surface and irrefutable fact is presented; and the third involves artworks that advance more than one meaning, thus undercutting the authority of any one over another. By 1965 interchange between these modes comes to a halt, as arguments emerge that make differences between artistic viewpoints into stark polarities. Naming abusive acts of viewing each required an interpretative act of its own, which proved the self-same poetic essence of art to be a construction, one needing the advocacy and arguments of rhetoric. Since the dissertation I continue to use Burke's understanding of tropes as fluid modalities to try to pry apart and make relational and interactive synecdoche and metonymy, rather than allowing them to be collapsed, which opens the way for the dualism that rhetorical analysis too often gets reduced to - namely, a reduction to metaphor and metonymy. As Genette and others have stressed, it is by means of this reduction that rhetoric has been modernized and subsumed within Saussurian linguistics and mapped onto the paradigmatic and syntagmatic poles of language. Thus simplified, these dyadic terms then get superimposed onto a number of ideological oppositions: between vertical and horizontal, monological versus dialogical, sublimating analogy versus proximal contact, quasi-religious organicist symbol versus scientistic logical sign, the transcendent up-above versus the immanent here-below. Aside from T. J. Clark (who employs metaphor to think through mediations), historians and critics of modern and contemporary art too often follow Rosalind Krauss and the October group in their imposing upon analysis a postmodern standoff between the idealist optical and the materialist index or informe. I believe that, in contradistinction, the tropic schema developed by Burke (and echoed in more recent work on metaphor by Ernesto Laclau and Gayatri Spivak) can help situate analysis of artworks in more complex, heterogeneous social and political discursive formations. Many evangelical Christian readers forget that when reading the Bible, they see only black marks on a white page that gain meaning in the process of socially constructed interpretation. Instead, their perceptions of the nature of the Bible are affected by language-based persuasive devices such as a cluster of sensory metaphors to appeal to “what the Bible has to say” and “what we see clearly” in the text that masks the human agency and room for disagreement in the act of interpretation. Letha Dawson Scanzoni and Nancy A. Hardesty, authors of the representative text of second wave biblical feminism, All We’re Meant to Be: Biblical Feminism for Today (1992 3rd Ed., Eerdmans), disagree with their counterparts Wayne Grudem and John Piper, authors of the representative text of complementarianism, Recovering Biblical Manhood and Womanhood: A Response to Evangelical Feminism (1991 Crossway), about the role of women in the evangelical church and family. Both sides of the gender role debate use strategies such as the sensory metaphor system, the language of formal argument, personification, and dualisms to persuade their readers that their exegesis of the Bible, a polysemous text, is the one correct truth of Christianity. Evangelical audiences resonate with attempts to disambiguate the Bible into one literalized truth because they share the hermeneutical assumptions of infallibility, plain reading, and unacknowledged human agency that add authority to their interpretations of the sacred text. Kenneth Burke provides the rhetorical framework to explain the use of literalized linguistic systems in the process of reifying an interpretation into a terministic screen. These rhetorical acts seek to reduce the complexity of the Bible into a singular, simplistic, uniform meaning. Metaphors such as the sensory cluster can be used to close down the meanings of texts, but Burke also argues that metaphors can open up the text for different interpretations. Burke offers a way to challenge exegetical reductionism by seeing the space where text, reader/interpreter, and community interact as a place for multiple, complicated possibilities. Burke adds theoretical support for the productive critic to advocate for sexual equality by uncovering evangelical rhetoric as interpretive. This symbolic approach to biblical interpretation broadens both the complementarian and feminist terministic screens until they reach consubstantiality, embrace the historical richness of evangelical Christian hermeneutics, and enable a change in the material situation of women in the evangelical churches. I am preparing a manuscript for William B. Eerdmans Publishing Company with the working title Theapalooza: The Rhetoric of the Next Generation of Biblical Feminism utilizing Burkean approaches to dramatism and metaphor to propose Christian feminist advocacy through rhetorical in addition to theological means, a perspective uniquely emphasized in the third wave of the evangelical egalitarian movement. This study employs Kenneth Burke’s rhetorical theory to examine scapegoating and sacrifice in William Blake’s works from the 1790s. It argues that Burke and Blake are antinomian thinkers who share two major ideas: a belief that scapegoating is pervasive in human culture and that it is intrinsically linked to systems of symbolic order, particularly when those systems become rigid and exclusive. The study also establishes two other major points. It demonstrates the importance of sacrifice and scapegoating throughout Blake’s opus, not just in the late prophecies. It also traces the development of Blake’s ideas about order and sacrifice through the 1790s, from a rejection of order as an unjust and violent imposition on human personality and culture, towards a more Burkean position which recognizes that symbolic orders are unavoidable. In a discussion of The Four Zoas, the study shows Blake striving to create a Burkean dialectic, in which the quest for ultimate values can be pursued in a self-consciously flexible and ever-changing symbolic order. While the dissertation focuses primarily on a reading of Blake, it contains much to interest a Burke scholar. The first chapter includes a 28-page theoretical overview, which explicates the relationship between scapegoating and symbolic order in Burke by synthesizing material from A Grammar of Motives, A Rhetoric of Motives, and The Rhetoric of Religion, as well as other Burke texts. Each chapter includes one or more segments exploring how specific Blake texts treat scapegoating and symbolic order as compared to Burke. Ultimately, the project is significant for Burkeans because it provides a reading of Burke that highlights his ideas about dialectic as a means of curbing the scapegoating motive and his importance as an antinomian thinker who does not engage in unrealistic attempts to reject order altogether. My recent research includes an article, “The Romantic in the Attic: William Blake’s Place in Kenneth Burke’s Intellectual Circle,” to appear in Jack Selzer and Robert Wess’s book, Kenneth Burke and His Circles, forthcoming from Parlor Press. This article examines the references to Blake in Kenneth Burke’s novel Towards a Better Life and in The Rhetoric of Religion. At CCCC in 2007, I presented a paper entitled “Kenneth Burke and The End of Faith: Religion in an Age of Terror,” which compares the rhetoric about religious violence in Sam Harris’s book The End of Faith to Burke’s approach in The Rhetoric of Religion. At the upcoming Kenneth Burke Triennial Conference, I will continue with the theme of religious violence in a paper entitled “Transcending Sacred Violence: Perspectives on Burke and Girard.” Within the coming year, I plan to revise and submit for publication both the CCCC presentation and a dissertation chapter on Burke’s scapegoating theory in Blake’s The Book of Urizen. This dissertation analyzes the persuasive strategies of the early Florida “truth” anti-tobacco campaign through a Burkean lens. The campaign’s rhetorical move from an anti-smoking to an anti-tobacco approach appeals to youth by redirecting youthful rebellion toward the tobacco industry. By developing a campaign that opposes the tobacco industry, the “truth” campaign shifts the locus of responsibility from the individual smoker (mortification) and places the blame with the tobacco industry (scapegoating). This dissertation argues that the campaign’s anti-industry message resonates with youth because it constructs its audience in a manner that coincides with the way they see themselves, as competent young people who can make informed decision on their own behalf. Several types of mediated texts from the first two years of the “truth” campaign were analyzed, organized by media type. Chapter two criticizes television commercials, chapter three analyzes “Secrets,” a two-minute film trailer that was released in theaters and on television, and chapter four examines the earliest “truth” website. At the heart of the analysis is an argument that has been put forth by other rhetorical critics: given the option of placing blame on ourselves (mortification) or others, we prefer to place the blame somewhere else (scapegoating, transcendence). The efficacy of structuring the “truth” campaign as an anti-tobacco campaign is that whether or not young people smoke, they can lash out at a corporate entity that has profited from death, disease, and addiction of others. Other key Burkean terms that animate the analysis include identification, synecdoche, and hierarchy. In several of Burke’s critical essays that employ scapegoating, such as the “The Rhetoric of Hitler’s Battle,” the group that is scapegoated is innocent. This leads to the question, is it still considered scapegoating when the individual or group, in this case, the tobacco industry, is actually guilty? This dissertation argues that it is scapegoating, despite the innocence or guilt of the party that is scapegoated. Relying on the “pseudoscientific” type of scapegoating, the “truth” campaign projects ills onto the tobacco industry, without considering the kinds of impact family members, peers, celebrities, or other groups may have. Scapegoating is envisioned as a framework that emphasizes the guilt of an external group without addressing whether that guilt may be shared by others. This rhetorical criticism draws from Burke, rhetorical critics relying on Burke’s writings, health campaign research, and writings on the rhetorical audience. The key concepts from Burke’s writings revealed how the campaign functioned as both a youth-oriented health campaign and an anti-corporate rant. Burke’s explanation of an audience’s motives partnered very well with social scientific research that addresses the kinds of messages that persuade young audiences. This research reinforces its application to the understanding of health campaigns and anti-corporate rhetoric. "What am I but a word man?" While Kenneth Burke's work on human relations, A Grammar of Motives, has most often been discussed in relation to other possible generating or derivational theories, or in its pedagogical potential, Burke's own approach, beginning with a grammar before attempting his planned rhetoric and symbolic, argues for a more ontological method, and one based in language theory. My dissertation offered an extended analysis of Burke's public and private writing just prior to and during the Second World War—work that led to both The Philosophy of Literary Form (1941) and A Grammar of Motives (1945)—as rhetorical action emerging from and responding to the conversations of his circle of "word men" as they confronted the problematic role of art during war. In the Introduction, I argue that Burke came to his understanding of dramatism in part because of his increasingly critical dialogue with those who would become the first generation of New Critics—Allen Tate, Robert Penn Warren, Cleanth Brooks, R. P. Blackmur, I. A. Richards, John Crowe Ransom. Chapters One and Two place Burke in the midst of the "literary wars" between Esthetes and Marxists and show how The Philosophy of Literary Form proposes a "battle plan" for poets and critics to diagnose society through literature. Chapters Three and Four analyze the pressures exerted by the Second World War and Burke's response: A Grammar of Motives that detailed a methodology to understand the ambiguities of motivation and so to transcend physical divisions with language-based mergers. The Grammar aimed to "purify war" not by opposition but by ironic transcendence. I conclude by analyzing why the Grammar failed to achieve its hoped-for goals in the immediate post-war years and why this moment may be a more propitious time to reexamine Burke's vision—to recontextualize his rhetorical scene in order to shed light on our own. Burke is absolutely central to this extended study of dramatism, as is the rhetorical theory he promulgated in A Grammar of Motives. However, it is not a historical study as much as an argument for the manner in which dramatism developed as, first, a conversation among the literary critics of the day and, second, as a conversation whose focus was, more often than we commonly acknowledge, the Second World War and the various intellectual responses possible to it. In the dissertation, I began to make the argument that a full understanding of dramatism would need to see it as both a kind of new criticism variant and as a response to war. I argued specifically that this new critical war response was most fully realized not in the pentad alone but in the whole trajectory of A Grammar of Motives, from presentation of a methodology for linguistically transcending war to exploration of the consequences of—and hortatory plea for—such symbolic action. To do so, I examined not only the Grammar and Philosophy of Literary Form, but Burke's public/private conversations with the so-called "word men" of his time, considering his writing always as a materially contingent response to an ongoing dialogue and including a variety of lesser-studied works in the Burkean corpus, including particularly his wartime work for the Popular Front journal Direction. My purpose was to engage rhetoricians in a two-pronged reexamination of their position in the academic community—first as colleagues with their literary/theorist compatriots and second as engaged intellectuals in a world at war. My book Burke, Words, War: Rhetoricizing Dramatism is due out from the University of South Carolina Press this fall (2008). It extends dramatically the work of the dissertation by vastly increasing the research, more strongly honing the argument, and examining more closely the implications of my own methodology in undertaking this study—arguing that "rhetoricizing" a universally applied theory such as dramatism can yield insights from its historically contingent origins which enrich—or even alter—our use of the theory in the present. The book is also just much better written. An article based on my book research, "Burke and War: Rhetoricizing the Theory of Dramatism," Rhetoric Review 26.3 (2007): 286-302, was awarded honorable mention for the Theresa J. Enos prize for best articles of 2007. My co-authored article "Beyond a Rhetoric of Shame: The Dialogic Narrative and Comic Correction," JAC 27.3 (2008, forthcoming), uses Burke's comic corrective to explore (with a psychologist and a creative writer) the pedagogical potential for a more dialectical approach to the personal narrative. My article "Rene Wellek and Kenneth Burke: Prague Influences on Modern Rhetoric," forthcoming from Litteraria Pragensia, considers the impact of Rene Wellek's 1942 article "The Mode of Existence of a Literary Work of Art" on Burke's discussion of the intrinsic/universal and extrinsic/historical duality in literature—an eventual key consideration in his dramatistic understanding, and a cornerstone of my own approach to "rhetoricizing" theory. I am finishing articles within the next six-eight months on Allen Tate's role in the scope and reception of Burke's Grammar, Burke's philosophical stance of "falling on the bias" across arguments, and—as an extension of my book—the conversations swirling around Burke's development of identification in A Rhetoric of Motives. Then I'm turning to something completely new and beginning a book on communal identification through national museums. The concept of identification—the “key” term of the “new” rhetoric—is perhaps one of Kenneth Burke’s most well-known and appreciated contributions to rhetorical theory and criticism. Current understandings of Burke’s identification have oftentimes conceived of this “key” term through the restricted lens of the “old” rhetoric. In an attempt to clarify identification’s role in the “new” rhetoric, this study traced the evolution of Burke’s thinking on the subject of identity from his first major work of non-fiction, Counter-Statement (1931), and through the more mature discussion of identification and division culminating in A Rhetoric of Motives (1950) and “Rhetoric—Old and New” (1967). The central lesson drawn from this project is that the “key” term of the “new” rhetoric is not an abstract and unchanging concept. Specifically, Burke’s preoccupation with “health” and “sickness” served as a blueprint for the development of his hyper-critical attitude necessary for the artist as citizen keeping watch over the “health” of his/her interpretations and participation in a “diseased” culture. When applied beyond the context of literature, Burke’s concepts of identification and division provide a prescriptive social vocabulary concerned with the “health” of our interpretations as evidenced in the proper governance of the self acting in society. What distinguished Burke from other artists and thinkers early in the twentieth century was his translation of the artist in the image of the hypochondriac. Throughout his life (as evidenced in published and unpublished writing and correspondence from the Burke Collection), Burke demonstrates a preoccupation with “health” and “sickness.” Whereas hypochondriacs concerned themselves with incipient forms of illness and disease in the body, the artist, according to Burke, would seek out incipient forms of disease in culture to unearth disorders of social thought and belief. As such, the hypochondriacs’ “professional vigilance” and persistent doubt normally reserved for the context of physical “health” served as the model for Burke’s emerging conception of the role and function of the artist in society. Given Burke’s preoccupation with “health,” a reexamination of other key terms in Burke’s corpus thought to be associated with the “old” rhetoric assume new and important significance when analyzed and understood using the lens of “health.” For example, Burke’s articulation of the “comic” frame using the principles of homeopathy illustrates his concern not with eliminating disease, menace, uncertainty, etc., but with how, as artists, we can translate the “poisons” of participation into creative opportunity and insight. One of the lasting contributions of Kenneth Burke is his dedication to widening our preconceived notions about the range and scope of rhetoric in everyday life. Burke expands the study of rhetoric by situating the rhetorical motive in the ordinary events and experiences of everyday life such as magic, myth, religion, and bureaucracy. Burke broadens the range of what we recognize to be rhetoric through his understanding and explanation of “identification.” His expressed goal, he states in A Rhetoric of Motives, is to use identification to show “how a rhetorical motive is often present where it is not usually recognized, or thought to belong” (xiii). Identification, put simply, occurs when a person’s interests or motives appear to correlate with another person’s interests or motives. We become, in Burke’s terminology, consubstantial. Yet, I argue, Burke “uses” the concept of identification to examine three different, although not entirely distinct, ways that identification is relevant to our analysis of everyday interactions. First, identification, exemplified in consubstantiality, is used by Burke to describe a universal characteristic of human interaction. Second, the concept of identification is used to name certain strategies of persuasion. Third, the dual role of identification as a universal characteristic and potential strategy for persuasion also allows for its use as a means of analysis. What can inform our understanding of Burke’s work, and rhetoric in general, is the recognition that each of the three uses of identification implicates and informs the other. When we begin with one, we encounter the other. However, intersecting Burke’s work with other contemporary theorists that study rhetoric and identity can be useful for illuminating both. In this case, I have chosen to focus on the work of Calvin O. Schrag. Calvin Schrag’s theory of communicative praxis allows us see the three uses of identification from a different, yet not incongruous, perspective. Schrag’s articulation of the relationships among communication, subjectivity, and consciousness becomes the backdrop for an examination of the three uses of identification. Since identification and consubstantiation are so closely linked to identity, Schrag’s explication of the “decentered subject” offers a terminology and perspective that emphasizes the elements of both phenomenological and postmodern theory. Specifically, Schrag’s analysis of the “subject” in relation to the concepts of transversality, the chronotope, and the “fitting response” provides us with one way to explicate further the three uses of identification and see how is interrelated. The guiding research question address is, “How is an understanding of Burke’s three uses of identification informed by Calvin Schrag’s theory of communicative praxis?” In the end, for Burke, it is critique and for Schrag it is questioning that helps us gain a perspective on the experience of identification while also providing a means for making sense of the moral import of our actions.